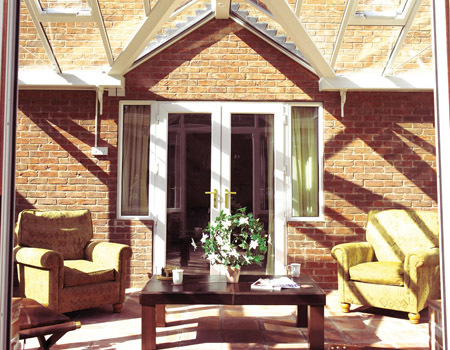 Add style and character to your home with new PVC-u french doors and patio doors. Designed to create a room with a view, these beautiful doors are the perfect way to link your home to your garden. There's a huge range of styles to choose from and a wide choice of colours. Built to the same exacting standards as our windows, our doors also include high security multi-claw locks with central deadbolt locking and are available in white, mahogany woodgrain and cherrywood PVC-u. We would be delighted to show you our full range of doors and designs at your request.